Roast chicken and braised fennel dinner on a Monday? Boo yah! As much as I try to plan quick dinners on the weeknights, there are times where I can't fight my craving for food that requires a bit more time and care. Since Mondays are so, well.......Mondays, I knew I'd want a nice, comforting meal when I got home yesterday. 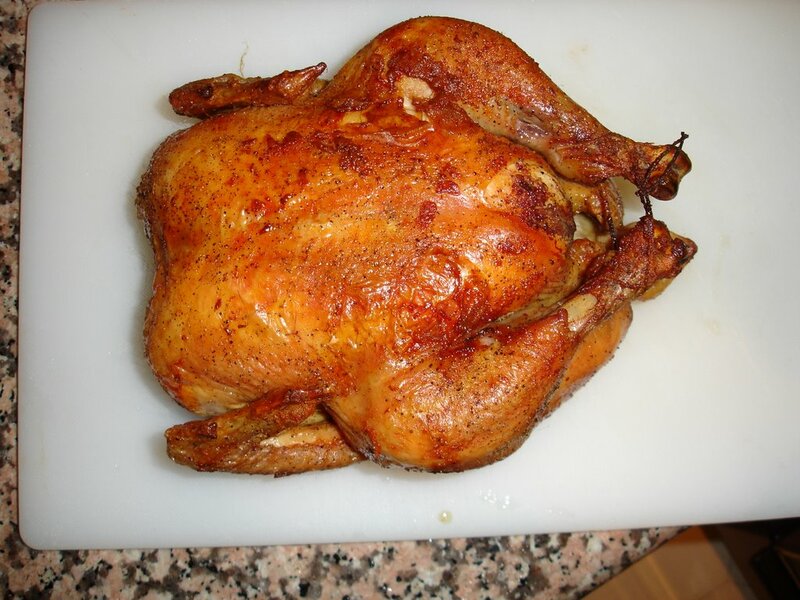 I had read Orangette Molly's ode to the Zuni Cafe Roast Chicken and knew I wanted to try it. 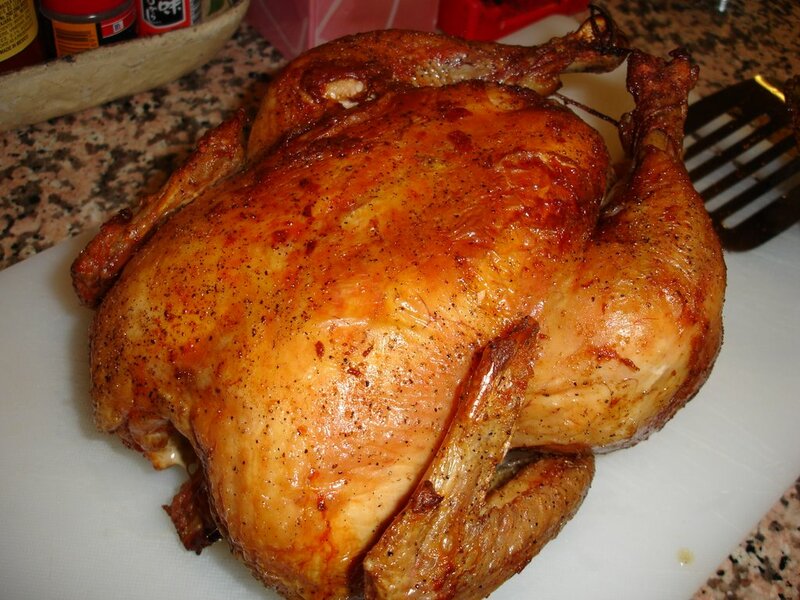 What could be more comforting than a roast chicken? I had done the prep on Saturday- washed and dried the bird, salt, peppered and massaged the skin and slipped a few sage leaves beneath it. On my way home from work yesterday, I called my partner-in-crime (husband) and asked him to preheat the oven to 475 and take the chicken out of the refrigerator so it could warm up a bit. When I arrived at home I hurriedly heated a heavy skillet on the stove until it was scorching and then set the seasoned bird in it breast-side up. It started to sizzle immediately and I stuck it in the oven. While listening to the crackle & pop of browning chicken skin (mmmmm!) 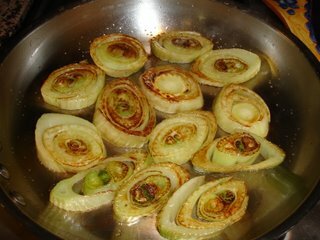 I sliced my fennel and prepared the braising liquid. 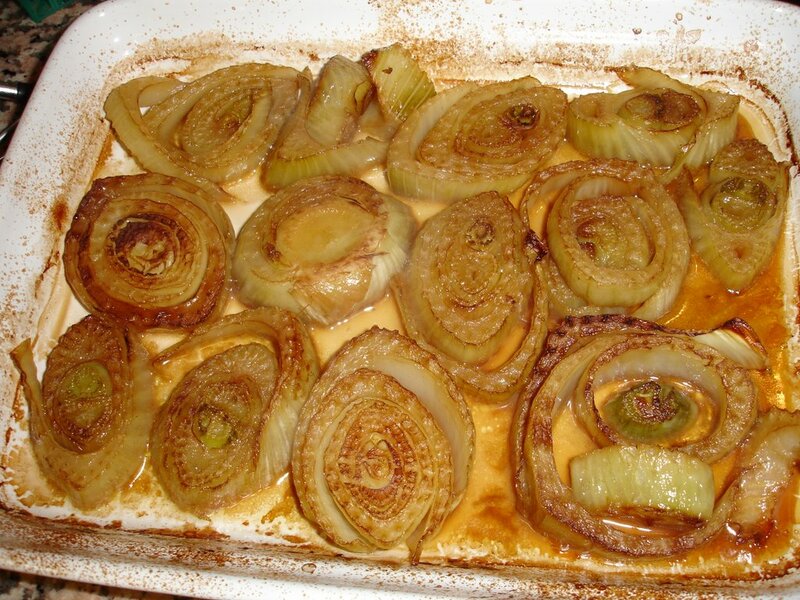 I must admit, I've had a hate-hate relationship with fennel in the past but realized that the strong, liquorices flavor of the raw version dissipates into a mellow sweetness when baked or braised. I had never made fennel before but had enjoyed it so much in a pasta dish at Blair's a couple weeks back that I knew I wanted to jump on the bandwagon (the fennel bandwagon, that is). Now back to the bird. After a few flips and an 80 minutes later, the chicken looked and smelled delicious. I let it rest before cutting through the crispy brown skin and into the juicy meat- and boy, was it juicy. I have to say this is the best roast chicken I have ever made! In the past, I always used a roasting pan and basted the bird repeatedly. 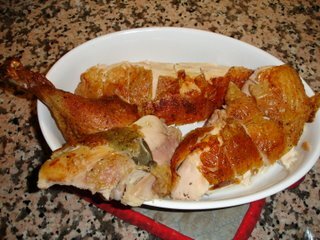 Although that method results in a tender bird, it doesn't make for a crackling skin which, as many of you readers would agree, is the best part. It may require a bit of extra clean up of the oven but it's worth it. And the fennel? 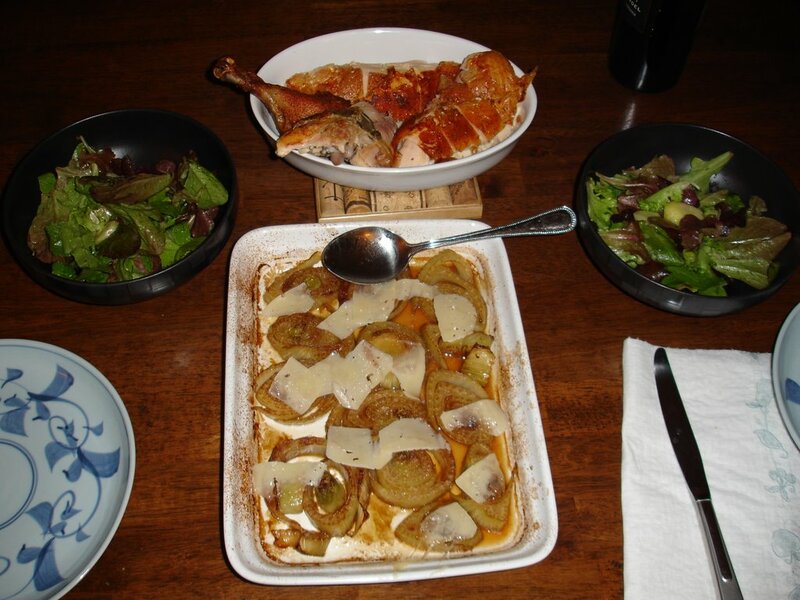 I topped it with a few shavings of parmesan to contrast the sweetness. Although I did like it, it wasn't as meltingly tender as the versions I've had at various restaurants. I need to sharpen my fennel-making abilities, so I ask humbly, my fellow food bloggers, for any advice on the topic. Kudos to you! That chicken looks better than any roast chicken I've seen anywhere else. I still don't have the balls to try this myself, but have read the Zuni posts on the CH Home Cooking so often that I think I might have to do it now...you've inspired me! You are such an awesome cook. Straight mama style. I love it!